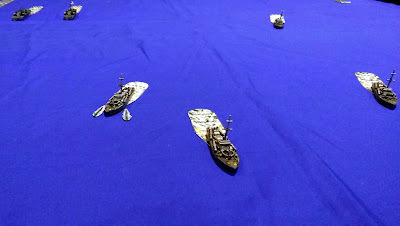 The Vospers, with the Fairmiles following up behind, try to close in on the targets at speed but are spotted by the Flakship just as they get within range of their guns. 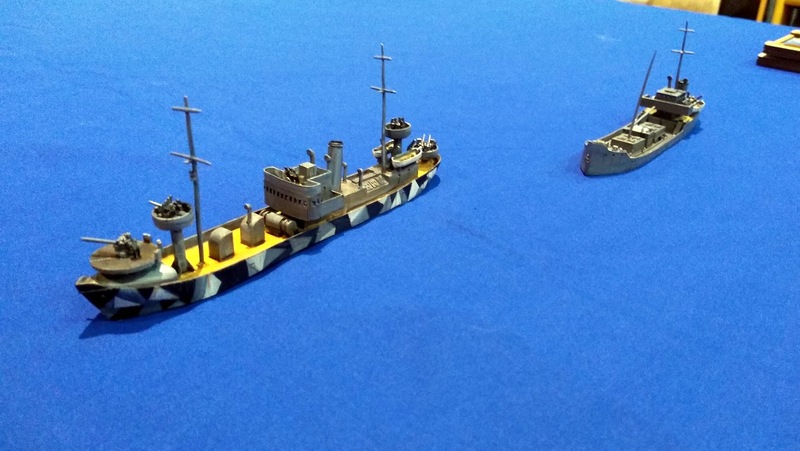 The Flakship opens up with its impressive array of 88 and 37mm guns. 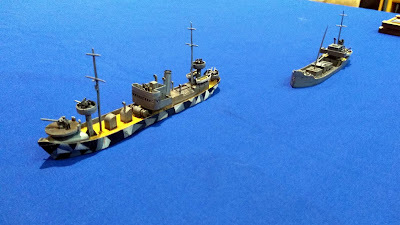 Both big ships raise anchor and start to move off. Despite launching a number of torpedoes the MTBs fail to hit much as both the tanker and Flakship seem remarkable manoeuvrable despite only having a 30-degree turn and travelling at low speed. 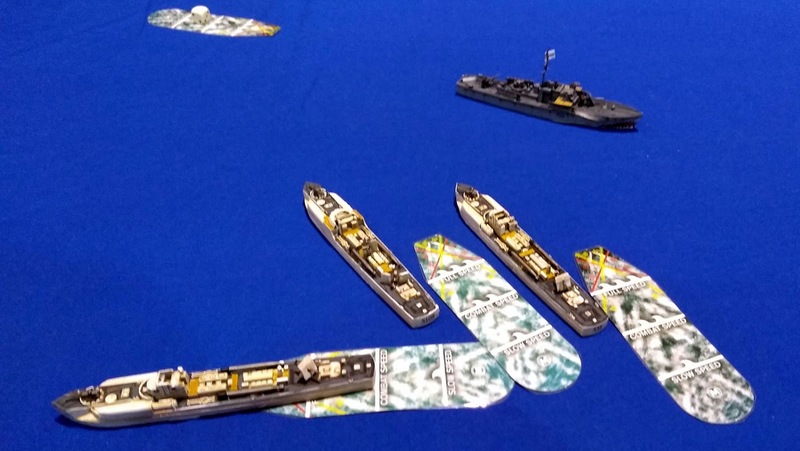 This manoeuvrability allows them to pick and choose what hits. The speedy E-Boats (controlled by Ged), responded to the distress flares sent up by the moored ships, and finally made their presence felt, concentrating against the Fairmiles. 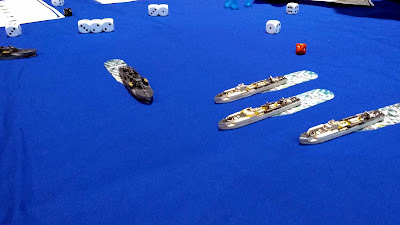 By the end of the game the Tanker has been sunk, a critical caused by gunfire from the Fairmiles leading to it losing its final damage point, but all the Royal Navy craft end up destroyed. 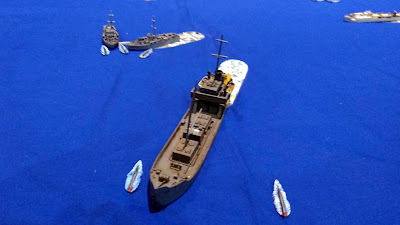 The Flakship could claim five kills (or at least the finishing shots), being the most effective craft despite only being about the same cost as a Fairmile.